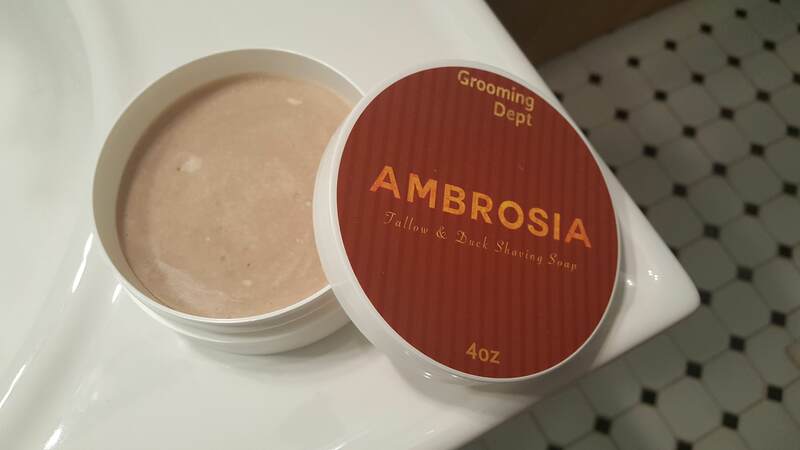 For trades I'm looking for tubs of similar usage L&L, WK tallow/tallow & donkey milk, Grooming Dept Magnolia or unused Mystic Water (depending on scent). Might consider other trade offers as well. PM with offers. Thanks for looking! BUMP! Any more offers guys?? Just an FYI, if you have any MW to trade, I'm most interested in Leather and Smoke or Lily of the Valley. Thanks! What’s the scent of this? Any comparisons? (11-28-2017, 02:24 AM)tsimmns Wrote: What’s the scent of this? Any comparisons? I personally love the scent. It's tobacco, but instead of being like straight up pipe tobacco, it's got floral elements that round out the scent nicely. To me it smells very fresh and clean with a subtle warmth to it. It doesn't really smell like any other "tobacco" scent I've smelled. Maybe WSP Tobacco would be the closest, but it's still different and way better (more complex) in my opinion. Hope this helps. Ok thanks, but not what I was hoping. I think Tobacco and scents and I just don’t agree. I have WK Merchant Tobacco and while the smell is subtle I can still smell it. It’s like my nose is trained to pick everything up, ha. I’m sure someone nabs this soon.